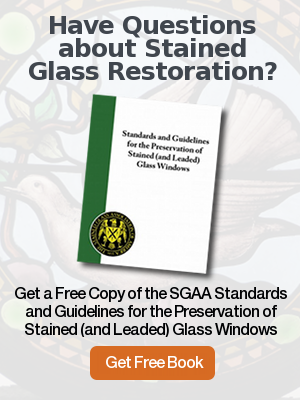 Is your Stained Glass Restoration Committee or Building Committee starting a new stained glass project? 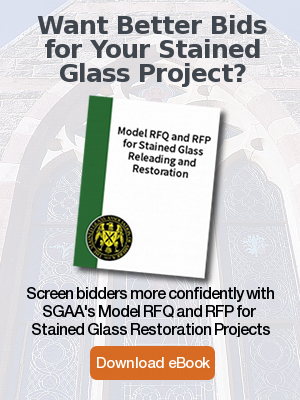 Do committee members feel stuck because they don’t know how to make a decision on a new stained glass or restored stained glass project? 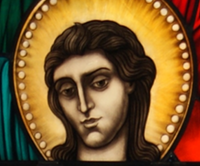 Initiating stained glass restoration, or having new stained glass created for your facility can indeed be a daunting decision. 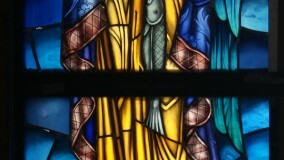 At Rohlf’s Studio, we know that a big chunk of what is preventing you from getting started may be fear that as lay people you will encounter technical terms that you may not know, or processes that seem opaque, or a lack of information to make a true apples to apples comparison among stained glass studios. We are here to help you cut through confusion and move forward confidently. 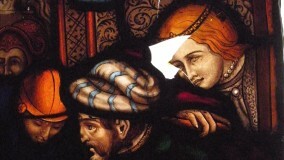 Stained glass is an art. Therefore, we have several different artists on staff that have their own unique style. This gives our clients an opportunity to see different styles that reflect whatever they may be looking for, whether it is traditional, contemporary, or a style in between. Typically, a client requests a specific subject for the stained glass design, and our artist makes a preliminary sketch to elicit feedback. If changes are needed, we have the artist either make the suggested changes to the sketch or depict them on the full size cartoon drawings once an agreement is made. We always work within the client’s budget. Of course, the size and complexity of the subject matter will influence price. Like all industries, inputs such as glass prices, lead came, etc. will translate to different costs. The better the glass, the more expensive it is. Be aware that when comparing prices with other studios, committees should take into account the materials being offered. 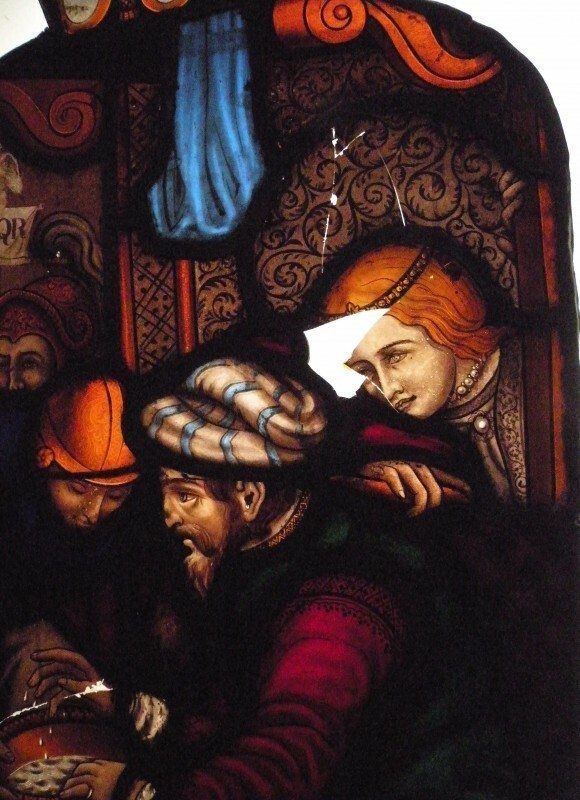 If prices are very different among vendors, committees should ask what type of glass (antique, cathedral or opalescent) is being used by each studio to get a better idea of their direct costs. Ensure that you have an apples to apples comparison rather than an apples to oranges situation. Keep in mind, you get what you pay for. Rohlf’s Studio is committed to our clients. We are a turnkey operation – meaning that we are a fully staffed studio that controls all aspects of the stained glass process for your stained glass project. We never broker our contracts to other studios. Most of our employees have been with Rohlf’s Studio for 15 to 30 years. They have been extensively trained and we consider them the backbone of our company and our reputation. 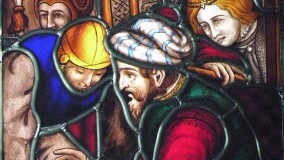 Rohlf’s Studio carries a full line of insurance along with a $5 million umbrella policy and a Bailee’s insurance policy covering your valuable stained glass while it is in transit and in our facility. If possible, visit the studios that you are entertaining bids from. As always, Rohlf’s Studio will be more than happy to answer any questions an to meet with your committee to review your needs.